Requesting a tour within the next 24 hours? Hoping to come with a bigger crew? Or, just not sure what the tour is all about? Give us a shout ahead of time at 802 862 4500 . We are happy to accommodate special groups! *Craig's is closed on most major US holidays. Please note, occasionally scheduling conflicts will arise. We will be in touch via email in the event of a scheduling conflict. There will be no tours on 1/21/19. We are sorry for any inconvenience. Please call 802-862-4500 for more information. Journey through 40 years of Burton history and get an inside look at Craig’s – our Vermont R&D facility. Craig's Prototype Facility represents Burton’s investment in R&D. This 10,000 square-foot facility houses the best of Burton's high-end, custom-built machinery. 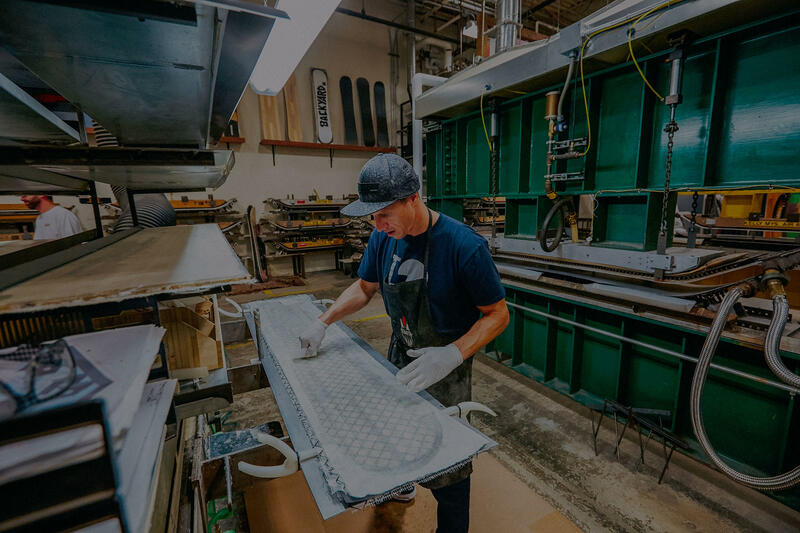 Although capable of producing thousands of snowboards, Craig's is dedicated to R&D and only produces a limited run of boards each season that we call the Backyard Project. Craig's is located at our Burton's global HQ in Burlington. After your tour, be sure to stop in to our Burlington Flagship store to shop the latest and greatest boards, apparel, bags & more!